We all tend to adjust our routines slightly when the winter months come into play but one thing we don’t give much thought to is adapting our skincare routines. We happily invest in suncream to protect our skin in the summer so why not introduce some products which are going to ensure our skin stays healthy and nourished during the colder months? The environments harsh extremes can play havoc with our skin and cause a variety of unwelcome side effects from dehydration and sensitisation, through to extreme chapping and flaky patches. 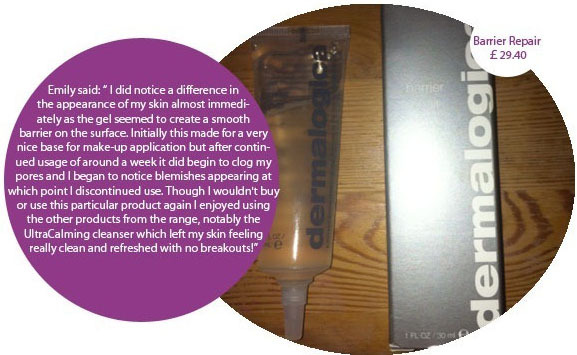 If this sounds all too familiar and you would like to invest in a skincare routine which is going to see you through winter then there are plenty of systems available. Clinique for instance, have recently introduced the ‘Comfort On Call Allergy Relief Cream (£35)’ to their range, which is designed for dry, sensitive and reactive skins with barrier restoratives and skin comforters to keep the skin healthy and nourished. If you are concerned about spending a lot of money on products you haven’t used before then pop down to your nearest department store and have a chat with the skincare experts. They will almost always be happy to help you find products which suit your skin and will often give testers so you can try something out for a week or two to see if it is right for you. 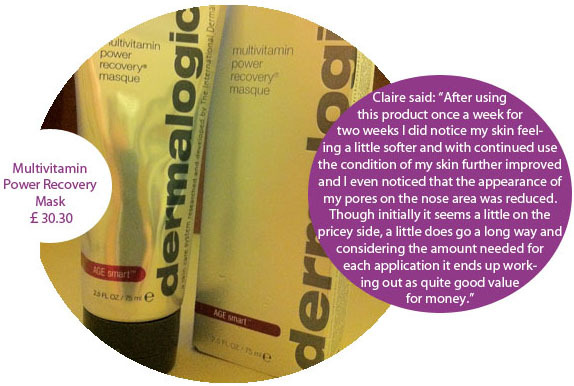 Dermalogica’s Multivitamin Power Recovery Mask calms and sedates hypersensitive and environmentally stressed skin. A combination of vitamins A, C, E and F and ProVitamin B5 with mineral and nutrient rich botanical extracts of algae, allatonin, liquorice, comfrey and burdock soothe the skin and decrease sensitivity. It also evens out the skin tone for perfect make up application. This is a unique anhydrous (waterless) moisturiser which melts gently into sensitised skin to soothe, repair and protect the skin from environmental aggressions. Formulated with Dermalogica’s anti-ozonate complex to shield skin from environmental stress, plus evening primrose oil and emollient silicones to strengthen the skin’s natural lipid barrier, helping to avoid future assault. Shea butter, vitamin c and bisabolol combat free radicals and moisture loss. Extremely gentle cleansing gel cream which can either be rinsed or gently removed with cotton wool leaving no irritating residue for the most hypersensitive skin that cannot tolerate even water. 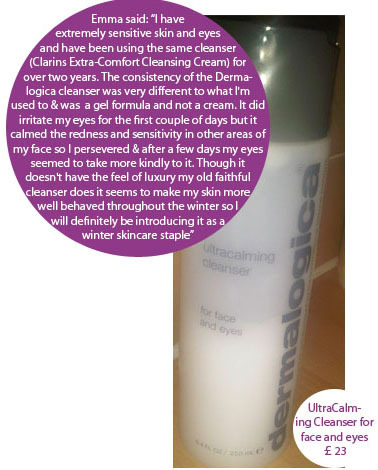 The cleanser contains Dermalogica’s Anti-Ozonate Complex, a powerful anti-oxidant which helps fight skin damaging free radicals. Anti-Ozonate Complez protects the skin from ozone pollution, one of the strongest known oxidising agents. Calming botanicals such tree, green tea, liquorice, oat, marshmallow, raspberry, sage and red clover sedate irritating skin.